With so much garden and lawn equipment coming out now-a-days it can be difficult to decide which pieces you really need to get for your home. You need to consider all of their features, their price/value for money and if you can honestly see them working for the weeks, months and years to come. All of this can be a little overwhelming but you needn’t worry I’ve got the perfect blog for you! 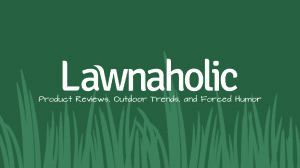 At Lawnaholic you’ll find a range of great reviews and articles which inform you of the latest garden & lawn care technology, ways to prevent you from regretful decisions and how to get the most out of your equipment. The authors (Nick) main aim is for you to have a great outdoor space and by providing you with all the factors and information that he does, I think he has given you everything you need in order to do that. He really has built up a brilliant blog and I recommend you all check out lawnaholic.com today!